The energy chocolate MILK (at least 30% cocoa), coffee and cola nut powder. 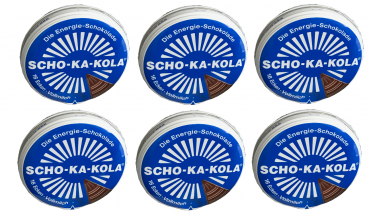 The unique formula of SCHO-KA-KOLA with the natural caffeine of cocoa, coffee and cola nut gives long-lasting energy for more strength and concentration. Get strength - make you awake. 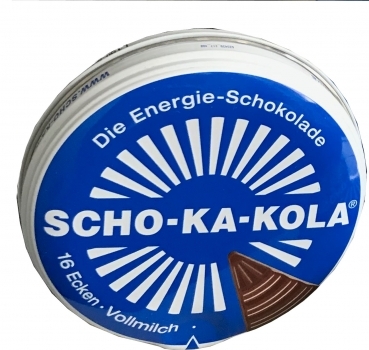 The original since 1935: SCHO-KA-KOLA is the unique chocolate from cocoa, coffee and extract of the cola nut. SCHO-KA-KOLA quickly provides the body with energy and at the same time increases the concentration capacity. 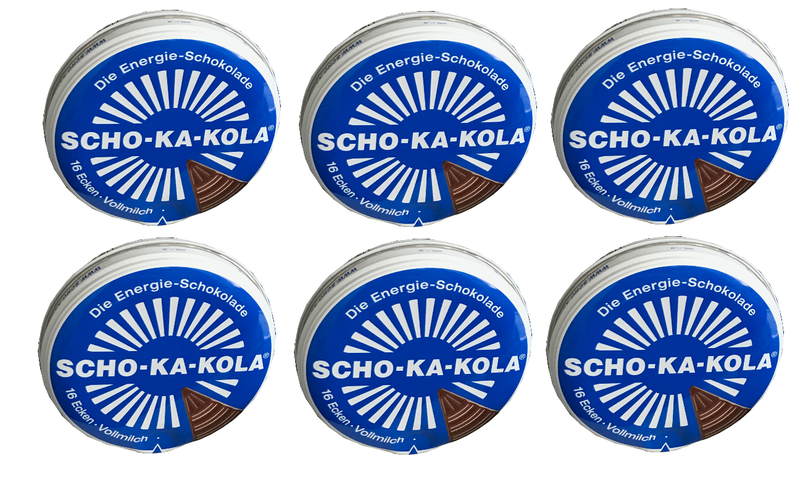 Always ready to handle - the SCHO-KA-KOLA tin contain 16 delicious chocolate pieces, a SCHO-KA-KOLA bar contain about as much caffeine as a strong espresso. SCHO-KA-KOLA is the ideal energy source for those who want to stay fit and awake.